To provide you with the best eye care and the latest information, doctors as well as staff attend several educational seminars each year. Our training, experience and state of the art equipment combine to provide professional, full scope primary eye care for infants as well as adults. 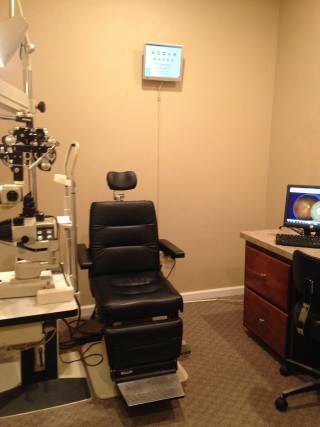 Our comprehensive eye examination takes approximately an hour to complete. It consists of an extensive health history, an internal evaluation of the health of your eyes, including tests for glaucoma, cataracts and other eye diseases. In addition, tests for color vision, depth perception, blood pressure measurement are performed, as well as a refraction, to determine if you are in need of glasses or contact lenses. Comprehensive eye exams for adults and children, co-management of laser vision correction surgery, caring for eye emergencies and so much more. The optometrists at Tallahassee Eye Care provide comprehensive eye care to patients of all ages including treatment for a range of conditions including glaucoma, diabetic retinopathy, dry eye, cataracts and macular degeneration.